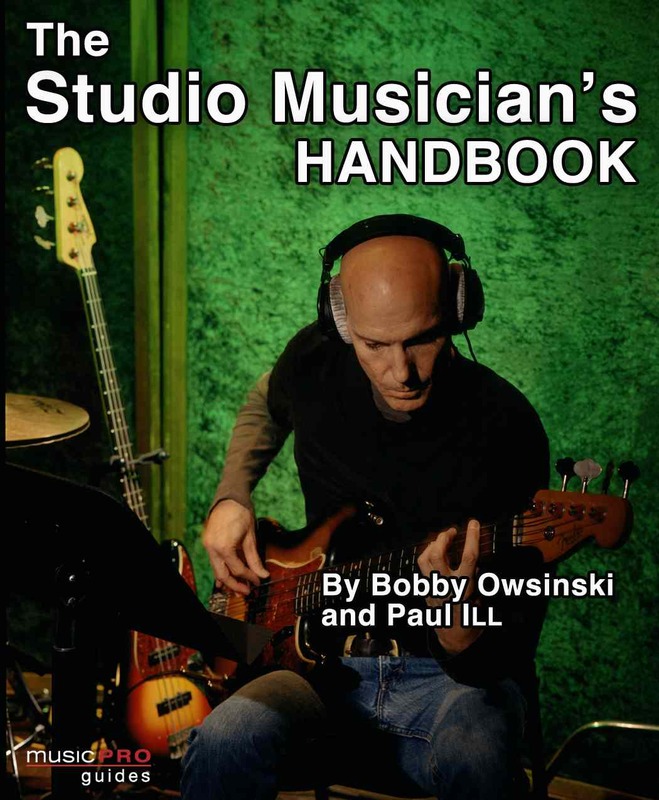 For The Studio Musician's Handbook, my co-author Paul Ill and I were lucky enough to interview the great bassist Leland Sklar. Lee has played on so many great records over his years as a studio musician (you'll see a sample in a moment) that they're literally too many to list Here's a little bit of that interview. Known for his distinctive long flowing beard, Leland Skar is one of the most respected and in-demand bass players on the scene today. Lee has contributed his skills to literally thousands of albums, soundtracks, films and television shows with such diverse artists as Clint Black, Jackson Browne, Jimmy Buffet, Crosby, Stills, and Nash, The Doors, Vince Gill, Ricky Martin, Diana Ross, and of course, James Taylor. Give us some background on how you got into session work? I never really thought about being a “studio musician” since I was always a band guy who liked to play live. When I met James Taylor in 1969 and “Fire & Rain” (Taylor’s first single) went through the ceiling, I started getting calls to do records. (Drummer) Russ Kunkel and I were paired as a rhythm section and started working together. That’s turned into a long career for me without really having had to think about it. I feel very blessed by this. I was at the right time and in the right place, as they (whoever ‘they’ are) say! What do you bring with you to a session? I bring several basses, a few effects, a DI box, and an amp (No rack! ), and a lot of enthusiasm! Do you tailor what you bring according to the session? Not really. If I know in advance of any special needs, I’ll take care of that. But in general, I’m prepared for almost anything that might be asked of me. Is your stage rig different from your recording rig? Yes, but not by a lot. I probably have less with me on the road than I would in the studio. I generally bring 2 basses on tour. One is a backup for that “just-in-case” moment. I use the same amp I use in the studio, but would probably add a second cab depending on the venue. I’ve been using Euphonic Audio amps and speakers for several years now. In the studio, I use a Iamp800 combo. On tour I would use a Iamp800 head with a 2X10 cab and a 1X12 cab. I was using a GrooveTube Brick or my Tubeworks DI, which is what I normally use in the studio, and a Yamaha Sub-Kick in front of the 12” cabinet as a mic. It’s an amazing sound. That piece of gear is normally used by drummers on their bass drums, but I tried it once on my set up and it’s killer. I don’t us any pedals live, except perhaps a Boss OC2 Octave pedal. I try to keep the bass as pointed and clean as possible so that the house mixer has something to build the rest of the instruments around. For more of this interview, go to the book excerpts page on my website. Check out the interview I did with Rick Goetz for his musiciancoaching.com blog. 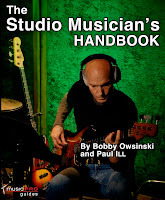 The interview covers both my How To Make Your Band Sound Great and Music 3.0 books. You can find the interview here entitled What Is Music 3.0? Thanks, Rick, for taking an interest in a little of what I do. I often asked about the New York Compression Trick, which is just my name for parallel compression. 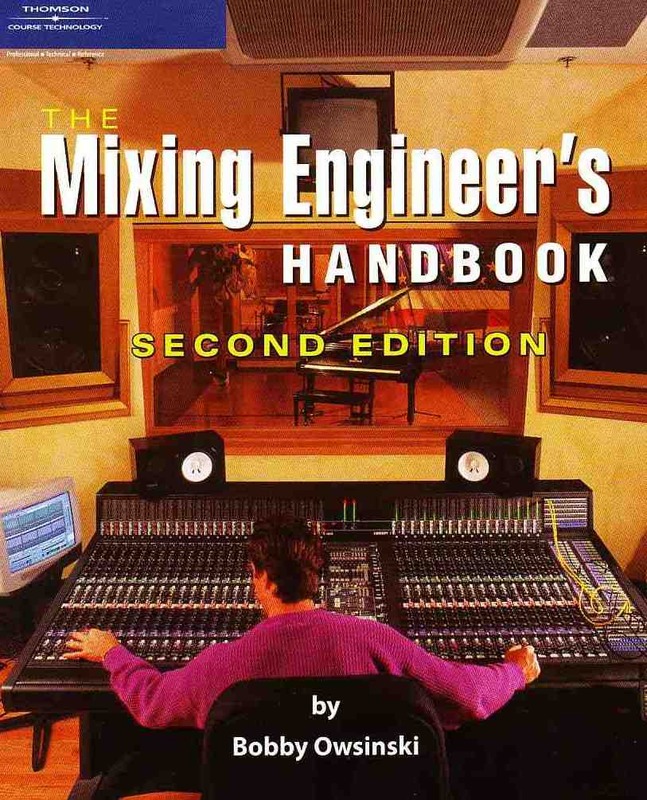 Here's where the term came from, a section out of the first edition of the first book I wrote, The Mixing Engineer's Handbook. One of the little tricks that seem to set New York mixers apart from everyone else is something I call the “New York Compression Trick”. 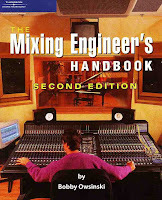 It seems like every mixer who’s ever mixed in New York City comes away with this maneuver. Even if you don’t mix in NYC, once you try it you just might find yourself using this trick all the time since it is indeed a useful method to make a rhythm section rock. 1) Buss the drums, and maybe even the bass, to a stereo compressor. 2) Hit the compressor fairly hard, at least 10dB or more if it sounds good. 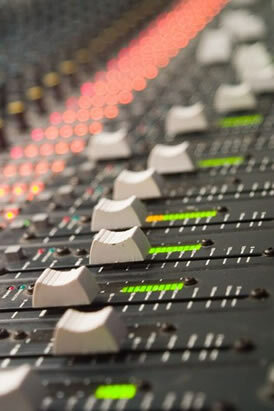 3) Return the output of the compressor to a pair of fader inputs on the console or two additional channels in you DAW. 4) Add a pretty good amount of high end (6 to 10dB at 10kHz or so) and low end (6 to 10dB at 100Hz or so) to the compressed signal. 5) Now bring the fader levels of the compressor up until it’s tucked just under the present rhythm section mix to where you can just hear it. The rhythm section will now sound bigger and more controlled without sounding overly compressed. Regardless of the kind of music that you're mixing, it inevitably happens that that you find two instruments that are fighting for your attention. It might be the kick drum and bass guitar, it might be two guitars (a likely occurrence), or it might be a lead vocal against a guitar or rhythm instrument. Regardless of the instruments, there are 5 ways eliminate the problem. 1) Change the arrangement and re-record the track. This is probably the least desirable solution, but it's the best way to resolve any instrument clashing. Clashes usually happen because of an arrangement problem, and changing the part that the offending instrument plays or changing the sound will save the day. The only problem is the time and effort it takes to do so. 2) Mute one of the offending instruments so that they both never play at the same time. In this case, you're changing the arrangement with the mute button by only allowing one instrument to play at a time. This actually works very well as it simplifies both the arrangement and the mix. 3) Lower the level of the offending instrument. Both instruments can't live at the same volume, but sometimes it works if one is softer than the other volume-wise. 4) Tailor the EQ so that the offending instrument takes up a different frequency space. This is usually what most engineers do and why they get paid the big bucks (chuckle). By carving out a separate frequency area for each instrument, both can live together at the same volume. 5) Pan the offending instrument to a different location. Sometimes this works surprisingly well. By just moving one of the instruments a little in the stereo field, both instruments can have their own space. Many times guitars that clash with suddenly work together if they're panned wide left and right, but sometimes only a hair will work too. The next time you have a problem with a couple of instruments clashing, remember this post. One of the 5 tips will always work. Continuing from yesterday's post of analyzing the Tell Me Baby tracks from the Red Hot Chili Peppers, today we'll take a listen to the isolated guitar and bass. 1) In terms of sounds, John Frusiciante's guitar sound is about as modern as you'll get. Just about every part of the song has a different guitar sound, not so much from different guitars and amps as from effects. He goes from the dry out-of-phase Fender sound in the verse (sounds like a Jaguar or Mustang), to heavily reverbed with a slight delay in the chorus, to an auto filter in the second verse, distorted, modulated and so on. 2) This is not a perfect track in that you'll hear some slight timing inconsistencies. Not enough that you'd ever hear it with the rest of the instruments, but enough that an overzealous producer might feel compelled to cut and paste to straighten it out. It just goes to show that a track doesn't have to be perfect to work (although this one is pretty close). Same goes for the bass track in the second video. 3) In the second video, Flea's slap bass part is interesting in that it has to be compressed pretty hard to contain those slaps. Good engineering job here because a slap bass is one of the most difficult sounds to record and this one is smooth and even all the way through. 4) Note the ad lib bass punch-in at 3:15. You can tell it's an afterthought because the sound is different. Staying with our beginning-of-the-week theme of analyzing songs, here's "Tell Me Baby," a cut by the Red Hot Chili Peppers from their number 1 Stadium Arcadium album of 2006. We're going to feature the vocals and drums from this song as two excellent examples of modern production techniques. 1) Anthony Kiedas' vocals have come a long way since the Pepper's first began in 1983 and this track is a great example. Although musically it's not very challenging, Anthony's performance is flawless, which is exactly what you'd expect from a big budget major label album. 2) The ad lib at 3:08 is the only part that sounds like it might be left from a scratch track. Notice the paper rustling in the background. 3) I always felt that the mark of a good vocalist is how well he can sing harmonies, even with himself. You'd be surprised at how many pretty good lead singers just cannot hear a harmony to save their lives. In Tell Me Baby, listen to Anthony's layered background harmonies on the choruses at 1:30 and 2: 30 and the outro on 3:26. Once again, they're perfect without sounding like they were cut and pasted. He's singing lots of naked 5ths, which many vocalist have a hard time hearing. 4) The outro has a couple of additional instruments with the appearance of udu drum and maracas. 5) Not much to say about the great Chad Smith's drumming on the second video except that he's as solid as it comes while playing a groove that might challenge other drummers. It's as perfect as a loop, yet breathes like a real drummer, which is exactly what you want from a drum track.